Maximizing the value of vehicles returned at the end of a lease is critical to any leasing company. We help car leasing companies protect leased vehicles’ value, save costs, and improve their profits through our leased car repair services. Studies show that for every $1.00 invested in reconditioning a vehicle at an auction, the seller receives an average of $1.50 return on investment. Dent Wizard is the one-stop shop for car leasing companies who are looking for small to medium repair services completed by technicians they can trust. Our leased car repairs include paintless dent repair, hail damage repair, bumper and paint repairs, interior repairs, wheel repairs and more. There are many ways for leasing companies to increase their leased vehicles’ values and minimize maintenance costs. We believe a partnership with Dent Wizard is one of the most effective ways for auto leasing companies to leverage fast and reliable repairs. Not to mention, we handle all services beginning to end to make it as convenient as possible for you. This means no more complicated vendor management or sluggish processes that delays sales. When a car leasing company works with Dent Wizard for auto reconditioning needs, it gains a partner that is committed to making leased vehicles better than brand new cost-effectively and quickly. Maximize leased vehicles’ values and reduce their holding time in the lot with Dent Wizard’s auto reconditioning services. Contact us or call 1-800-DENT-WIZ (1-800-336-8949) to learn more about increasing the value of the vehicles in your leasing inventory with Dent Wizard. With over 1,600 trained and certified technicians across the U.S and Canada, Dent Wizard provides the following reconditioning services for leasing companies. See the effects of a recent hail storm? Dent Wizard and our Catastrophe Response team provide exceptional hail damage repair services to car leasing companies so that vehicles can return to your inventory in pre-storm condition. 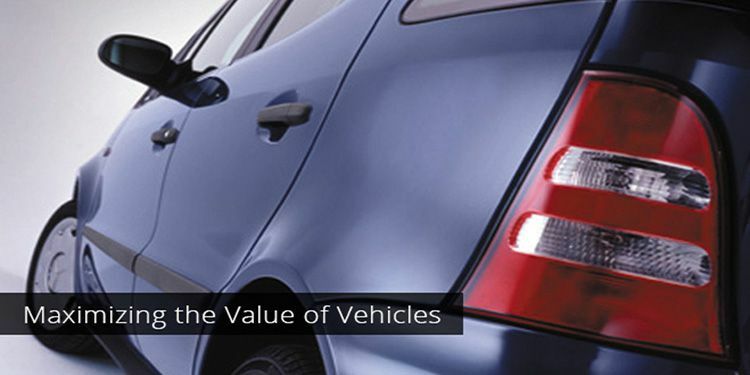 Vehicle appearance is an important deciding factor for its value. Dent Wizard is the pioneer in paintless dent removal for cars. Our PDR for leased vehicles include removal of dents, dings, creases. Dent Wizard’s interior repair services for car leasing companies include leather and vinyl repair, carpet and fabric repair. Dent Wizard exterior repair specialists are trained and highly skilled in scratch repair, bumper repair, paint chip repair, and windshield repair. Wheel damage can decrease a vehicle’s curb appeal and its value significantly. Using Dent Wizard’s wheel repair services, car leasing companies can be assured to have damaged wheels repaired and returned to their original condition. Dent Wizard offers a full range of car key programming and replacement services for car leasing companies including unlocking vehicles, cutting and programming keys and accessing and using key codes.